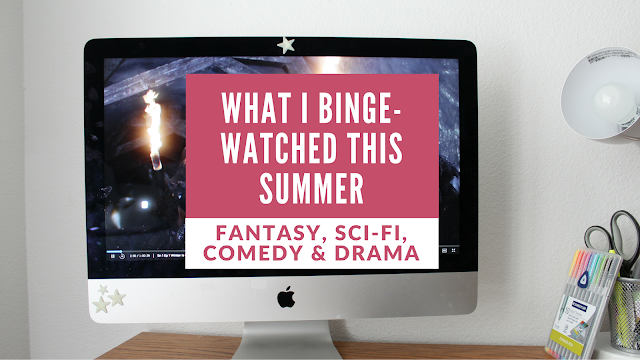 As someone who loves fantasy and sci-fi, Game of Thrones was the perfect show to get into this summer. 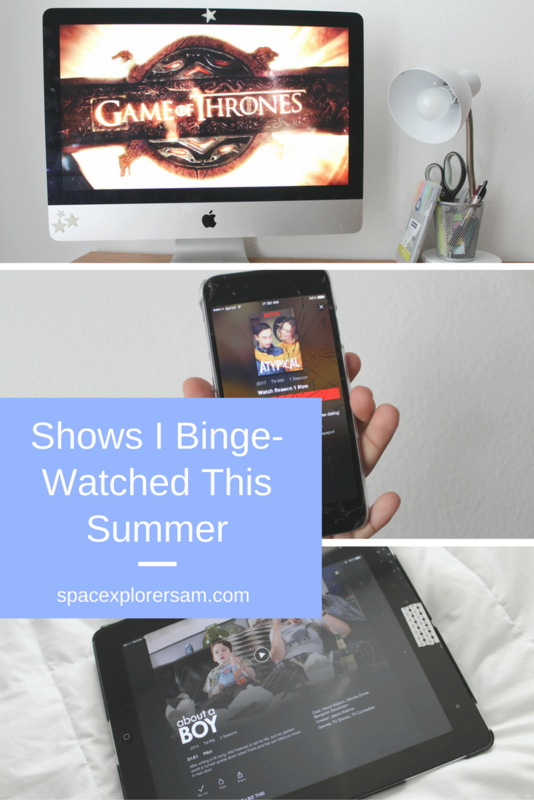 I binge-watched from the very beginning and finished around the same time the new season was starting. I can not believe I now have to wait along with everyone else for the next season. At least I have time to read up on all of the interesting "Westeros is post-apocalyptic" theories that I love so much! I was inspired to rewatch this series after watching the new Netflix movie of the same name. The last time I watched this series I was in high school, so I couldn't quite remember everything that happened. The suspense is unreal in this show and at points I found myself struggling with anxiety due to the sheer thrilling tension I was experiencing. The show is so good (especially the first half) and I'm glad I watched it all again. Seriously, this is just a lighthearted comedy that is very easy to watch. It was fun to find a show that I could watch without feeling the need to theorize different plot lines. I love how there's such a dynamic group of personalities that mix really well. I'm only extremely disappointed it was cancelled. I only binge-watched the final two seasons but it was nice to get into a familiar show that I've loved for so long. After watching it this summer I realized I was a fool for preferring Damon to Stefan when Stefan is actually the better brother. Also, I can't get enough of this world so my next binge session will probably be The Originals, and I can't wait. This show has been my summer tradition since the very beginning. I've enjoyed many summer breaks sitting on the couch eating popcorn and screaming advice out at my favorite pathological liars. The show had its moments but I was extremely disappointed with the last few seasons. I'm only slightly sad that the show is over. Even though it only has one season on Netflix I fell in love with this show instantly. I absolutely love the main character and his relationship with his younger sister. The balance between drama and comedy really made this show an enjoyable experience. Side story: a few hours after finishing season 1 my sister called me into her room and recommended the show to me by saying "I've found a show that you'll really like." What were your favorite shows this summer?